September 30, Saturday – Poetry Free Verse Book Fair, London, and launch of new pamphlet ‘Selfie with Waterlilies’ (Paper Swans Press, 2017). November: launch of my second pamphlet ‘The Days that Followed Paris‘ (HappenStance, 2016) at the Poetry in Aldeburgh festival. 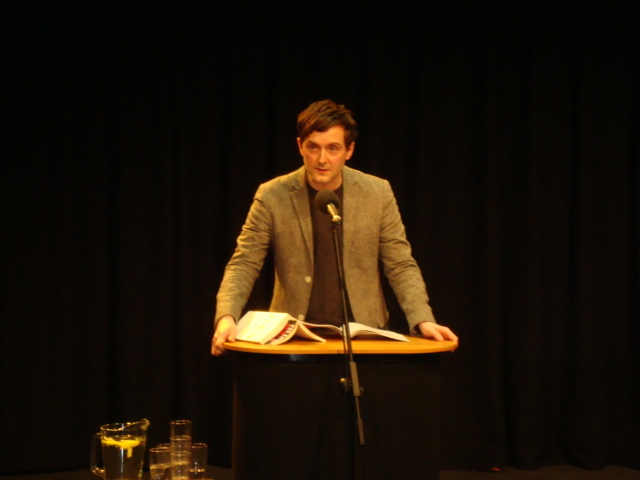 October: Guest reader at the Torbay Poetry Festival. January: Magma reading at the Torriano, and Poetry Cafe, Covent Garden, London. May: Grasmere launch of ‘Those People’ (Smith/Doorstop 2015). May 22: guest reader at Paris Lit Up’s Thursday night reading series in Belleville. Poems inspired by airports, European travel and living statues. October 17: Paris Lit Up night at Culture Rapide in Belleville, the great Thursday night weekly poetry outing, full of poems, songs, novel extracts and always the unexpected. Really open and supportive atmosphere. 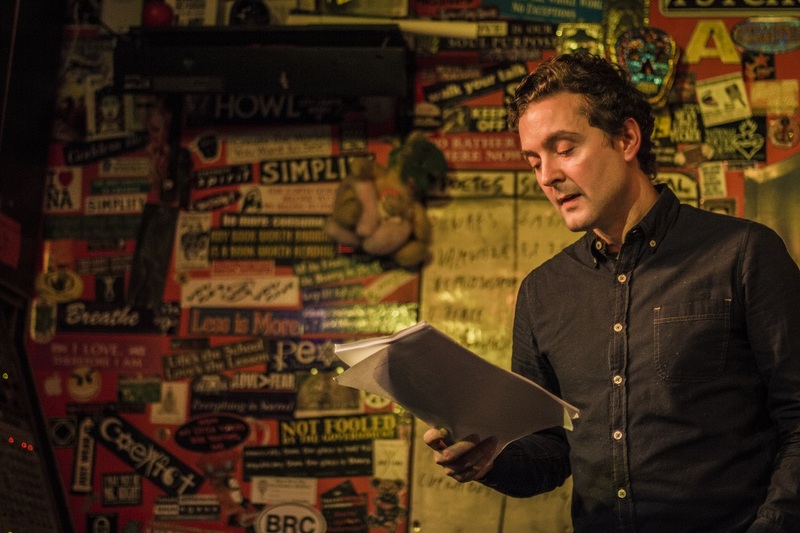 June 3: Reading alongside poets Simon Armitage and Frieda Hughes at Coffee House-Poetry at the Troubadour, Earl’s Court in June for ‘ what we should have said’ – “a n entertaining, enlightening, innovative & unpredictable spoken-word shindig”. An amazing experience, and the time just flew! Above with regular fortnightly reading series organiser Anne-Marie Fyfe, and Frieda Hughes after the reading. May 23: The launch night of the 15 poets x 15 artists collaboration project organised by poet Katrina Naomi. I was teamed up with the painter Tony Hull. What resulted: two almost-classical portraits with unexpected voices. May 4: Reading at the Dugdale Centre, Enfield, with the Highgate Poets. February 23: ‘Alter Ego’ event organised by Roddy Lumsden, upstairs at the Betsey Trotwood pub, Farringdon, London. I read a poem about actress Gwyneth Paltrow composed of 20 intentionally bad haiku. February 18: Magma Poetry Competition Awards, RADA, Chenies Street, London. I read my poem ‘The Pull’, which appears in issue 55, entitled ‘Soul and the Machine’.